Last week one of our barbers (Zoe) kindly donated her time and her day off to travel to the head office of UKPOS to complete an head shave. 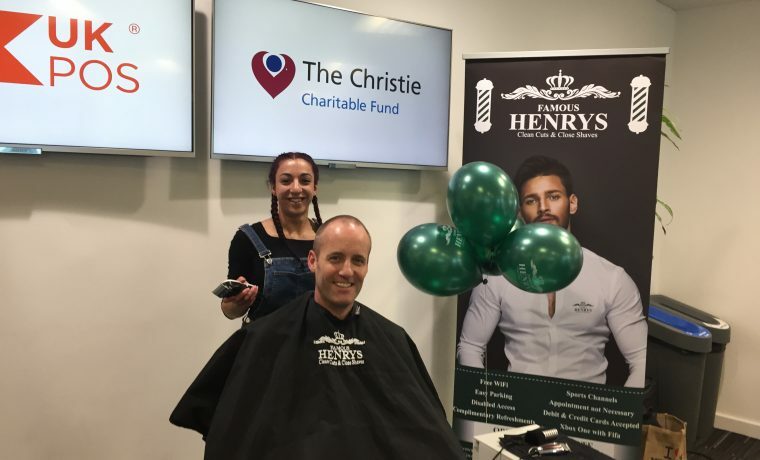 The company have been raising funds for the Christie in exchange for the MD losing his hair. We would like to wish them all the best in raising funds which is currently exceeding £3000.